Are you in the market for a premium door installation service in Washington DC? Trust King Door and Lock Maryland and DC for all your door installation and repair issues. We offer fast and friendly, complete service for your interior and exterior doors. One of the features our clients love most is providing upfront pricing before beginning any work. Are you having problems with opening your garage door manually or with a sensor? Is it only opening halfway or opening very slowly? Contact our expert technicians to take a look at the problem and provide expert garage door repair in DC services. If your garage door is beyond repair, then you can count on quality garage door installation service in Washington DC by King Door and Lock. Our technicians service both residential and commercial garage doors. In the unfortunate event of a break-in or accident, we offer emergency garage door repair 24/7 in DC. King Door and Lock excels in both interior and exterior door repair and replacement in Maryland and DC. Whether you need a new front door or a repair service for your patio door, you won’t find another provider that will carry out our high level of service at a price you can afford. When it comes to the interior doors of your house, King Door and Lock can fix and install all kinds of interior doors – pocket doors, French doors, bedroom doors, etc. Our techs can also take a look at any issues you may be having with your door jambs or door frames. 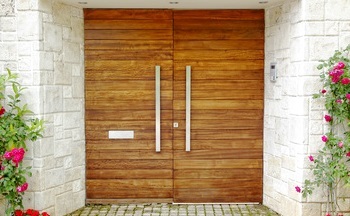 Properly working doors for your office or commercial establishment are a must. They reflect on the professionalism of your company. Not all door technicians are capable of carrying out commercial DC door installation service given the differences between commercial doors and residential doors. At King Door and Lock, however, our door technicians are trained in repairing and installing all kinds of doors, even industrial doors for commercial properties. Our door technicians use only state-of-the-art equipment to install and repair doors for businesses. King Door and Lock Maryland and DC is a quality service you can trust for complete door installation, repair, and replacement for your home or business. 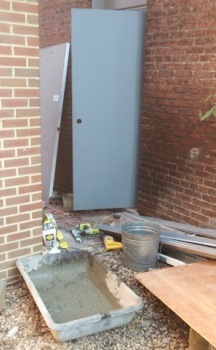 Moreover, we proudly provide 24/7 DC door installation services because we know emergencies may occur at any time. So what are you waiting for? Give us a call today. Our call center is standing by 24/7/365 to answer any questions you may have about replacing or installing a new door for your residential or commercial property. DC Door Installation and Repair Service Provider https://kingdoorandlock.com/dc-door-installation/ 4.1/5 based upon 29 reviews.